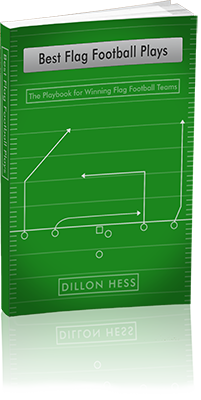 Get all the plays from the best-selling flag football playbook for defense by getting your copy of the book today. Don’t miss out on your chance to become the defense that every other offense in your league is scared to go against. Dillon Hess was a two-time Texas All-State Quarterback at Colleyville Covenant Academy in Colleyville, Texas. He threw for over 5,000 yards passing and scored 70 total touchdowns during his high school football career. He played four seasons of college football at Beloit College where he was the captain his senior year and played just about every single position on the field, including rewriting the school’s record book for punting yards. Best Flag Football Plays for Defense is the best way to transform your defense and build a defensive strategy that wins flag football championships. Every team can score points in a flag football game, but not every team can consistently shut down their opponents to keep them out of the end zone and off of the scoreboard. 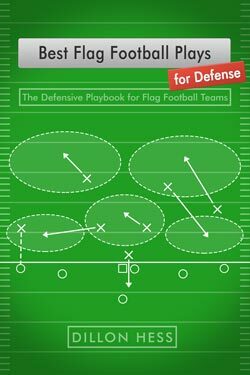 If you are looking to improve your team’s defensive performance on the field with solid strategies for a flag football defense, this book is for you. This playbook is filled with all of the best formations for flag football defenses, hundreds of play diagrams, and countless defensive strategies that you can use to transform your defense into an impenetrable force. Become known as the defense that every other offense in your league is scared to go up against by implementing the plays and principles found in this book. The game is on the line. Your defense is on the field. Who is going to make the big play to win the game? Find the right defense for your team for when it is crunch time.